Domestic water usage continues to put higher demands on municipal supplies and bigger costs on consumers. In water stressed areas, recycled grey water can be a good source of water for toilet flushing, irrigation and wash water. Grey water is usually considered to be all the wastewater from residential bathroom sinks, showers, bathtubs and washing machines, excluding any water that has come into contact with feces. Ideally suited for newly built developments where dual drainage can be designed in an early stage, grey water can be collected and treated separately from the black water. 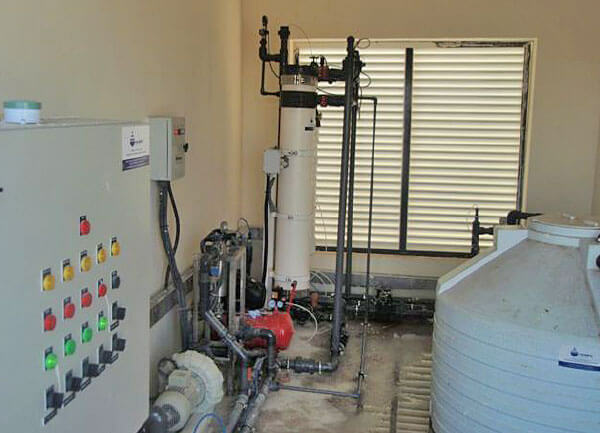 The use of treated and recycled grey water within a development requires a separate and dedicated water network.